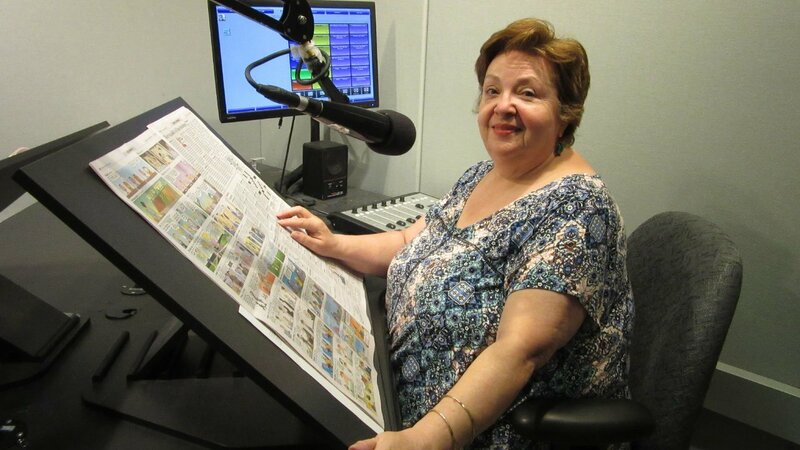 RISE LogoWMHTRISE is WMHT's 24-hour radio information service for the blind and print disabled in New York's Capital Region and the Hudson Valley. Each week, our dedicated team of volunteers reads articles from local and national newspapers, popular periodicals and books to audiences who would otherwise be unable to access such information. RISE depends on the generosity of concerned organizations and individuals, so please consider making a donation to assist us in providing this free public service. To view the RISE schedule, please click here. Reading a newspaper, or a magazine, or a book. Something that many may take for granted but RISE and our volunteers provide the blind and print disabled with these essential services and more on a daily basis. 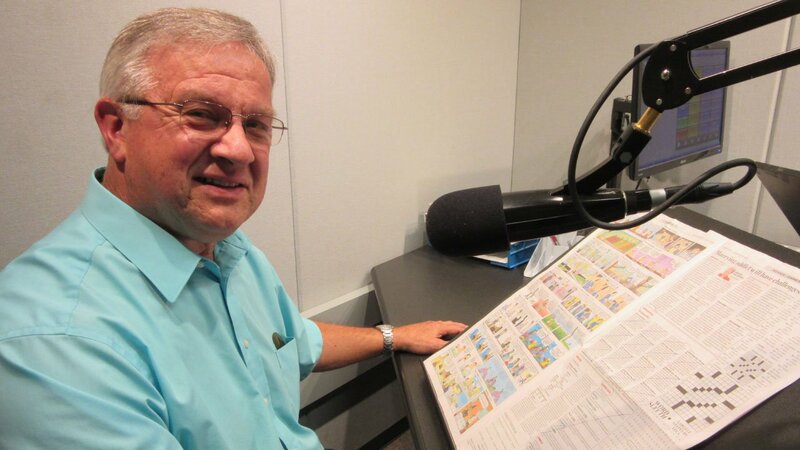 About 2,000 blind and print disabled listeners across 17 counties utilize RISE, in which 100 volunteers help bring essential and comforting services to our community 356 days a year. Thank you for making it possible to serve our community for 40 years! Hear from volunteers on their experiences in the videos below. Bob Yager, a RISE volunteer for 30 years, recounts the early days of his service. 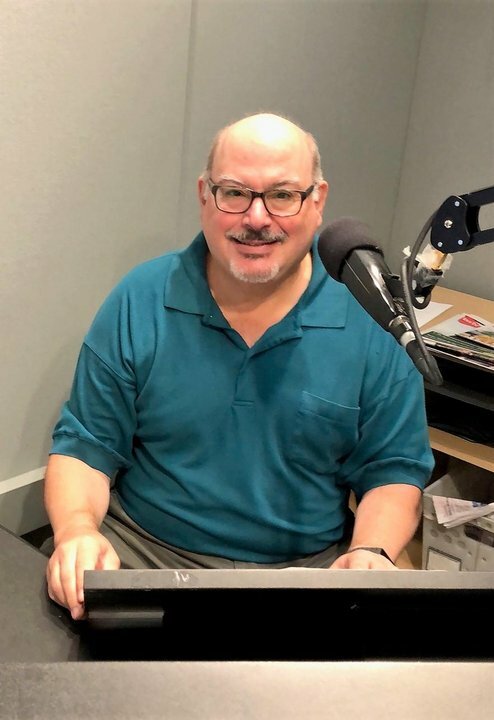 RISE is WMHT's 24-hour radio information service for the blind and print disabled in New York's Capital Region and the Hudson Valley. Each week, our dedicated team of volunteers reads articles from local and national newspapers, popular periodicals and books to audiences who would otherwise be unable to access such information. Receivers are loaned free-of-charge to applicants who are currently registered with the New York State Commission for the Visual Handicapped or the Library of Congress Talking Books Program. Applicants who are not registered with one of the above must have a visual or physical condition which impedes access to printed material, as certified by a medical professional, social worker, librarian or rehabilitation counselor. 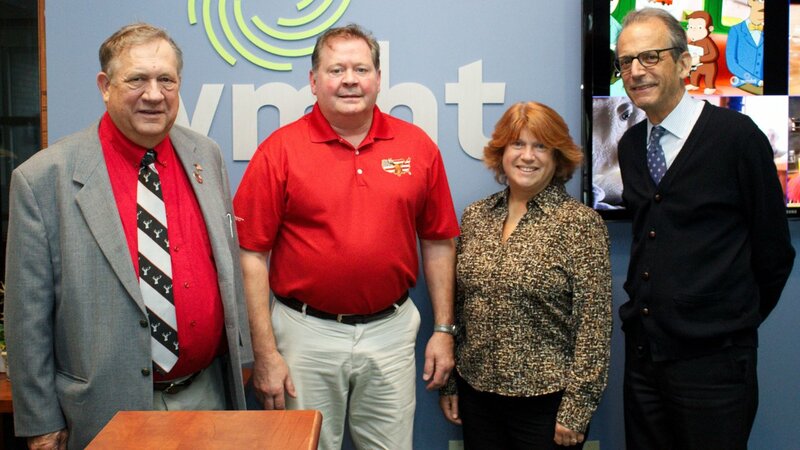 If you can receive WMHT-FM on your regular radio at home, you are likely within range to recieve RISE. If you are unsure as to whether you are in this range, please see our broadcast coverage map. To receive RISE, you will need to request a special receiver. To further serve our community, RISE is now available to our subscribers as online streaming audio. Contact us for more information on how to access this service. If you would like to help RISE, please mail your donation to: WMHT-RISE, 4 Global View, Troy, NY 12180. Or call (518) 880-3400 for more information. RISE depends on the generosity of concerned organizations and individuals, so please consider making a donation to assist us in providing this free public service. To Return a Receiver: Put the receiver back in the box it was mailed in. This box contains a "Free Matter for the Blind and Handicapped" sticker on the upper right hand corner. If you do not have the original box, use another box with ample padding. If you would like, you can request a "Free Matter for the Blind and Handicapped" sticker by calling RISE at (518) 880-3436. With this sticker, there is no shipping charge. 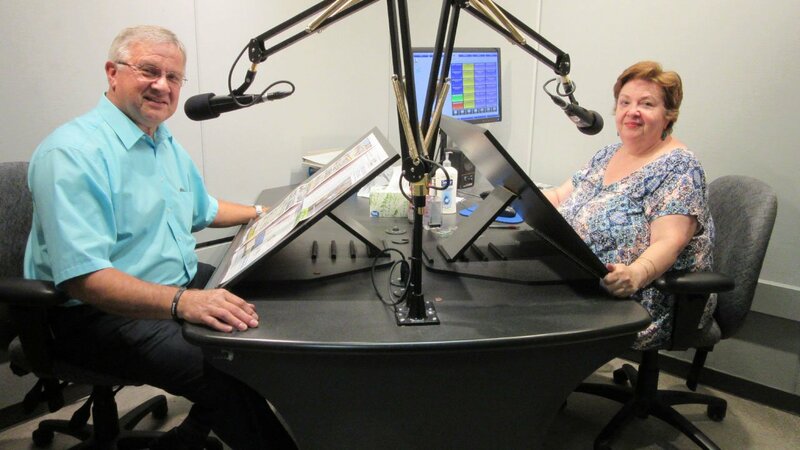 Click here to read what our RISE volunteers and listeners have to say about the service. Interested in joining the team? See our volunteer description. If, after reading it, you're ready to make a difference in the lives of the print disabled, print out this volunteer application form and sent it to us at: WMHT-RISE, 4 Global View, Troy, NY 12180. You can also call (518) 880-3400 or e-mail us for more information. Or, if you'd like to support RISE but cannot commit to a volunteer position, become a member. I look forward to reading for RISE! It is great to know you are doing something that is actually helpful, is a lot of fun, and you get to meet the nicest and interesting people. -Marian D.
Volunteering with RISE is a pleasure. It feels like you are meeting with a good friend and sharing the day's news. And in fact you are and you receive that same warm feeling of sharing with a friend. -John H.
I feel that, in retirement, volunteering is a great way to make new friends, learn about new areas of interest and "do a good turn" in our area ".RISE is all of this and it's fun...as long as you like reading aloud.....books or magazines or newspapers or come up with a new theme or topic for RISE Manager Joyce Stah. -Colin C.
Of my few volunteer activities RISE is the most meaningful to me. Even though the exchange with the listeners is electronic only I feel a connection is being in made and via that remote connection I believe there is mutual uplift. -Colwyn A. Reading on RISE is the most fun I have ever had as a volunteer. It is also quite gratifying to know that we are keeping our listeners connected and up to date in a way that no other media can do for the blind and print disabled. -Ed B.
I am so glad I volunteer for RISE. It is rewarding to know that we are bringing the news of the day - in detail - to those who would otherwise only have access to a short news recap on TV. And because both the Times Union and the Gazette are read 7 days a week listeners are able to follow stories of interest as they develop. RISE has been a gift to me on a personal level as well. It has been an outlet for me during difficult times, and I value the compassion of my reading partners and especially the friendships I have made over the past two years. I look forward to spending many more years at the microphone! Thanks! 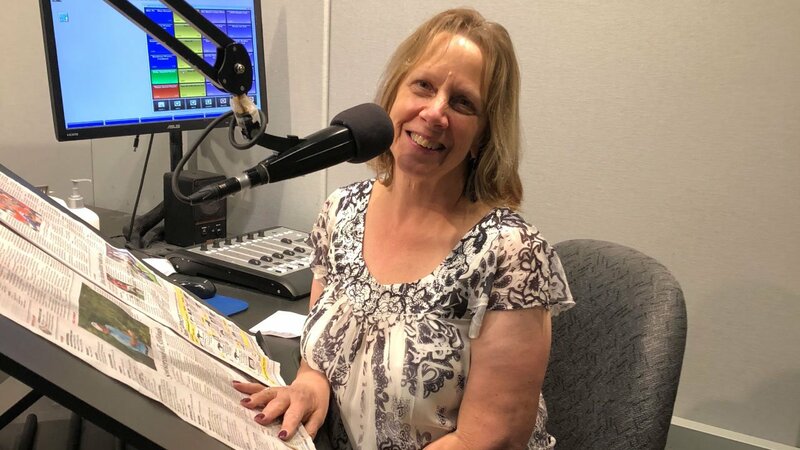 -Sharon S.
I enjoy reading for RISE because it is gratifying to know that listeners are receiving an immediate benefit. I also have enjoyed all the people I have partnered with on RISE - they read because they care. -Georgiana P.
Enclosed is a donation given in memory of my mother. 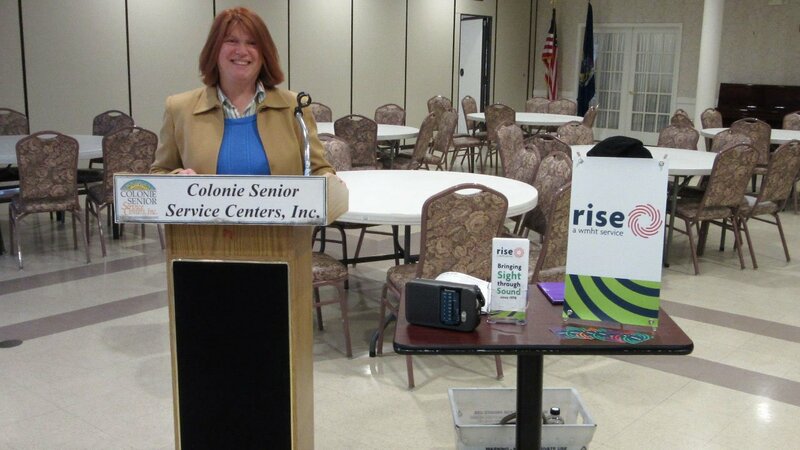 After she lost her vision and moved into a nursing home, she spent many hours listening to RISE radio. It was her life-line, keeping her informed and entertained. Please keep up the good work. Thank you for the RISE equipment. It’s marvelous! My sincere appreciation for the wonderful RISE service providing me “Sight through Sound” I look forward to listening every day and your readers should be commended. My Uncle was legally blind and got so much pleasure from listening to RISE. Enclosed is my fathers’ broken radio and a donation for your service. Thanks a million for replacing the radio for him. He is enjoying your great programs again which he missed very much when his radio stopped playing. Thank you for providing such a wonderful and needed service. 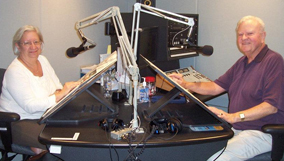 The RISE radio you provided to my father has made such a difference in his day as he enjoys all of the programs. Thank you for your service and best of luck to you and your volunteers as you continue your wonderful work. Listening to RISE is such an important part of my life. Thank you for helping to keep me current with the news, it has given me a big lift. Enclosed is my donation, in appreciation for WMHT-RISE. It is difficult for me to be mobile and I derive comfort and joy from listening to RISE. From the moment I awake in the morning I find myself listening to RISE. I listen all day long and it is a constant companion filling my world with news and interesting information. Thank you for this service. I have lost my sight due to macular degeneration and it became too difficult and time consuming for me to try to read. I finally gave up and cancelled my newspaper and magazine subscription. I can’t tell you what a lifesaver it is to have learned about RISE. Now I just listen to my favorite magazines as the wonderful volunteers read them to me. Thank you very much and I thank the volunteers for all they do for me. I mostly listen to the newspaper and Bargain Bin on RISE. I like to hear what is on sale at the grocery store before I go shopping. It gives me ideas on what to shop for and also which store has sales on the items I need. Each volunteer reader has their own style and I like them all very much.